The Minnesota Vikings will enter 2019 with the best wide receiver duo in the NFL and it will now be staying together even longer. 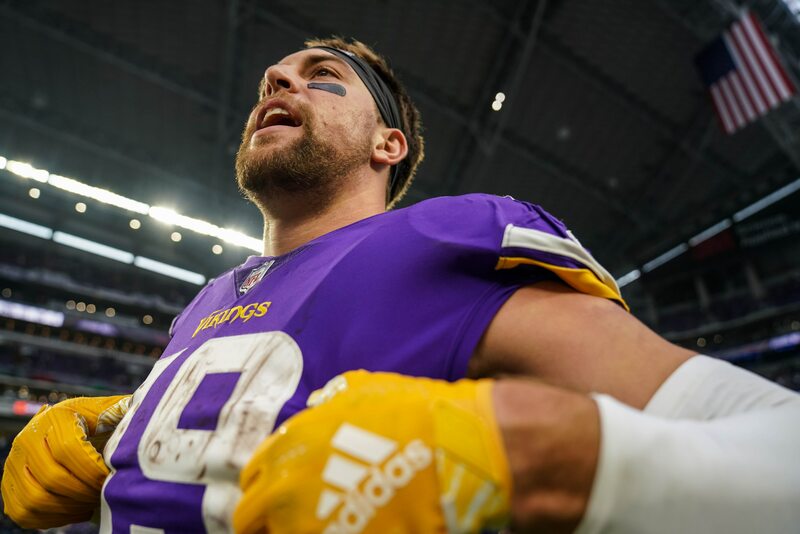 On Friday, Minnesota agreed to a four-year, $64M extension with wide receiver Adam Thielen. The 28-year-old had another phenomenal season with the Vikings in 2018 and became the go-to weapon for quarterback Kirk Cousins. Now coming off setting career-highs in receptions (113), receiving yards (1,373) and touchdowns (nine), Thielen has something new to celebrate. According to NFL network’s Ian Rapoport, the deal contains $35M guaranteed and can reach a maximum of $73M if Thielen hits certain incentives. Thielen and Stefan Diggs are both now locked up through 2022, giving Cousins two Pro Bowl receivers to throw the ball around with and put up a lot of points. Now after extending Thielen, it will be up to Minnesota’s front office to strengthen the offensive line and give Cousins more time to throw to these highly-paid weapons.